I had the personal privilege of receiving my earthly father's blessing before he died. It was a real honor for me to receive such a blessing from my own dad and I am keenly aware that many people have not shared the same experience with their own earthly fathers. Some may have even felt cheated out of their father's blessing similar to how Esau felt when his brother Jacob cheated him out of the blessing. (You can read the story in Genesis 27). But the truth is that our God and Father made a way through the cross of Jesus Christ (Galatians 3:13-14) for each and every one of us to experience every heavenly blessing there is! 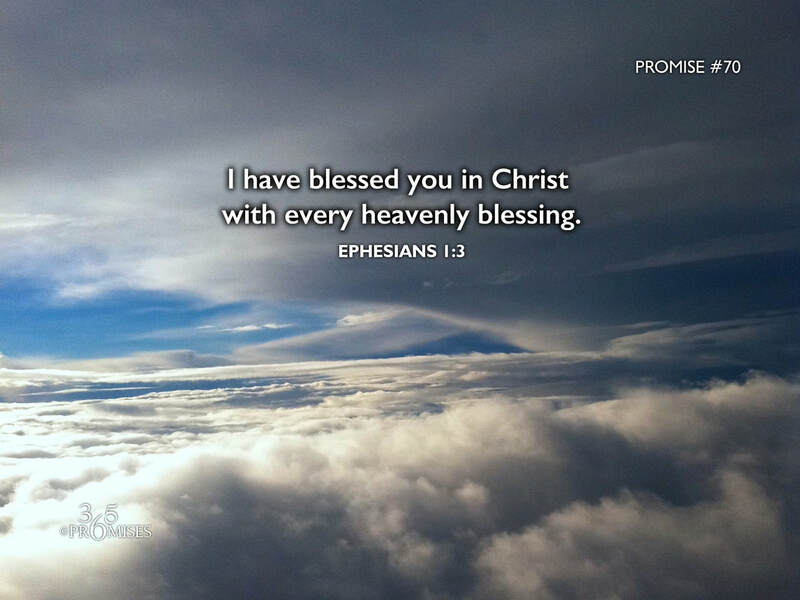 Today's promise from Ephesians 1:3 says that you and I have been blessed with all spiritual blessings in heavenly places. Every blessing that there is in heaven is yours because of what Jesus did! We do not have to feel cheated out of any earthly blessing because we have a Heavenly Dad who has more than made up for our lack of blessings on earth, by showering us with His own blessings straight from heaven. We are not orphans, trying to struggle through this life, but we are part of the greatest family ever because God is our Father and Jesus is our Elder Brother. Because of our rich inheritance, we have been blessed in Christ with every heavenly blessing there is! Hallelujah!